During Google's earnings call today, Google executives made it clear that the acquisition of Motorola comes with quite a bit of baggage. More specifically, Google has "inherited a 12-18 month product pipeline" that Google CFO Patrick Pichette says the company is "still working through." Yikes. The deal, which closed last May for $12.5 billion hasn't amounted to much eight months later. With 12 to 18 months of existing products in the works, we may not see a more Google-y Android phone from Motorola till the summer or beyond. Or maybe we'll see one at I/O this May. 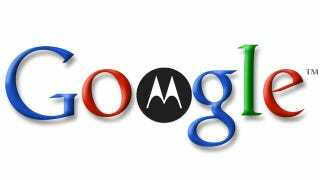 More likely, though, is an October or November timeframe for a possible Motorola-built Nexus device. For what it's worth, the first flagship Nexus device was announced in January of 2010. Since then the last three Nexus smartphones have been released in November or December of the following year. Kind of a bummer that we're going to have to wait even longer to see what Google and Motorola have in the works. If anything at all. Even more surprising was Page and his captain's answers to most questions during the Q&A. So, what's the deal with Shopping? Fiber? Android? Google TV? Glass? Whatever? 'Oh, you know, we'll see what happens.' For Google, the future isn't search or advertising. Revenue from both are only going to fuel the future of the company: Mobile computing. Glass is clearly coming, though we have no idea what the hell that's going to be but at least Android is in a dominant position. So yeah, we'll see what happens.